We had such an awesome beginner dslr photography workshop this past weekend- thank you to all who attended! 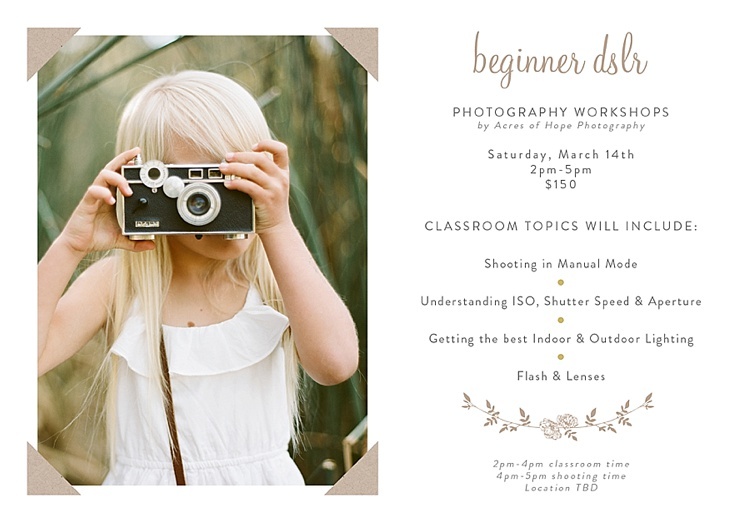 I’ll be hosting another workshop on Saturday, March 14th. If you own a DSLR camera and you do not know how to use it to it’s full potential, or you’d like to learn how to take better photos by shooting in manual mode, this workshop is for you! Location is TBD. Fill out a contact form or email me (erica@acresofhopephotography.com) to sign up!